What’s the Deal with Waterfront Properties in Green Bay? Waterfront properties, waterfront homes, and waterfront land! They are a hot commodity in the Green Bay, Wisconsin area. Whether they are lakes, rivers, the bay, or even a retention pond – buyers will pay a premium for the ones that float their boat (ha!). The Bay of Green Bay, of course, is one of the most popular waterfronts out there. You can find homes in Green Bay up through Door County. Some of the homes along the Bay are vacation only homes – meaning some of them are not made to withstand living in during the winter months. No heat!! The Fox River isn’t just home to paper mills or lumber mills, it’s quite the popular water front feature for home buyers as well. It runs from Green Bay to De Pere to Lawrence, then Wrightstown and onto Appleton. Waterfront homes along the Suamico River start in Brown County and travel through Oconto County. All types of properties are located along this river, you have single family homes, vacation homes, condos. There is definitely something for everyone. See what insurance prices would be. Some of these waterfront homes are in a floodplain which does require flood insurance (if you are using financing). Is the property a year round home? Does it have heat, is it properly insulated? Some waterfront homes are made for living in the warmer months. Be sure as to what you are purchasing. What kind of water activities do you enjoy? Do you have a boat to dock? Are you strictly looking for a view? Realize what your water view needs are BEFORE you buy. Check out the utilities. 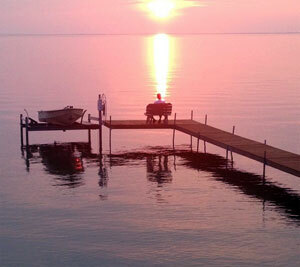 Some waterfront properties are located in the more rural parts of town, can you get internet? Cable? At times, the struggle is real. Contact me if you are looking to buy or sell waterfront property. A Realtor experienced in both buying and selling waterfront property can be invaluable.